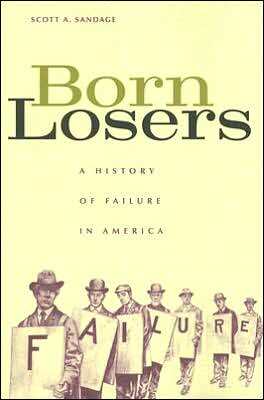 Mr. Sandage is the author of Born Losers: A History of Failure in America (Harvard, 2005) and teaches American cultural history as an Associate Professor at Carnegie Mellon University in Pittsburgh, Pa. When the first plane struck, I was in my Pittsburgh apartment writing a conference paper on images of failure in popular music. My mother phoned: big jet crash, turn on CNN. “I’ll have to skip this one,” I said. “I’m working.” Minutes later, I cut off a neighbor and then a colleague who rang in quick succession. When my spouse called with news of the second plane, I finally clicked the television and quit dylanloser.doc, “The Loser Now Will Be Later to Win: Bob Dylan and the Epiphany of Failure.” By mid-morning on September 11, 2001, we knew that thousands were dead in unfathomable horror. Yet, part of me fretted that I really should be getting back to work. Five years later, I am still ashamed of my gross self-absorption on that incomprehensible Tuesday morning. I felt guilty for even thinking of work at such a time and guilty for not even trying to be productive. The Federal Aviation Administration suspended the nation’s air traffic, but who had the authority to suspend our work ethic? Despite the fallen towers, the Pentagon strike, and the crash near Pittsburgh, my paper still had to be done for that weekend’s music conference in Iowa City. Although airports were reportedly closed until at least noon on Wednesday, surely they would reopen before my scheduled departure two days later. And so, the unfinished paper gnawed at me for 48 hours – until the meeting was cancelled and I was certain there would be no trip to Iowa. By sundown on 9/11, a whiteout of poisonous ash and office paperwork made lower Manhattan resemble the epic blizzards of my Iowa boyhood. School closings were gifts from the sky, but I was grown before I understood the real significance of a “snow day.” With little warning, almost everything stops but our hearts; no travel, no meetings, no guaranteed overnight. The calm after the storm reminds us that our work is neither as urgent, nor even as essential, as we wish to believe. No conference papers (and few books) have ever been written that the world could not do without. Snow swirls, screen savers dance, deadlines slide, and – nothing. Amazingly, life goes on and the walls do not come tumbling down. Until the blizzard of 9/11. Digging out from death and debris so overwhelming that they might have forever buried “business as usual,” no wonder many citizens believed that the terrorists would win if the nation stopped. Workaholism was patriotism. President Bush’s glib call to keep “working and shopping” was more redundant than inappropriate, but it could not keep the smell of death from triggering introspections about how to live. On-the-street interviews and letters to the editor voiced second thoughts about devoting one’s life to making money in tall buildings. Actually, some students at my university (renowned for business and technology) had been airing similar feelings for more than a year. The dot-com bust of 2000 hit them as an unthinkable event that made it thinkable to follow one’s bliss. Their epiphanies that failure was an option (in the sense of not living by others’ definitions of “success”) inspired me to send off a paper abstract about Bob Dylan. “I ain’t gonna work on Maggie’s farm no more” was less a rejection than a revitalization of the work ethic. That phrase sent me digging through paper piles in my office on Sunday afternoon, to recover a forgotten postcard that I had picked up in Manhattan in 1998. As a historian researching the experience of failure in American culture, I was always coming across ephemera of winning and losing. This was a funky advertisement, grabbed off a free card rack in some café, for the employment service hotjobs.com. The graphic evoked an Andy Warhol portrait in primary red and blue – of the Twin Towers. Big yellow letters screamed: WELCOME TO THE PLAYGROUND OF THE FEARLESS. Talk about “change over time” (as historians refer to our stock in trade). In the X-treme culture of the 1990s, the postcard had looked like one more example of “masters of the universe” bravado, the latest update of the American credo of compulsory ambition. Pick one: be a comer or else be a loser. But 9/11 had transformed this advertising into effigy. There could be no sneering at the playground of the fearless after it caved into Ground Zero and its dead arose as unforgettable individuals in the New York Times series,“Portraits in Grief.” Readers did not have to presume that all were heroes to appreciate that each was a human being. The fearless would not be faceless, much less hidden behind masks of success and failure. Among them was many a comer but nary a loser. Ultimately, the fallen ended up no more equal in death than they had been in life. The ennobling rhetoric of individualism conceals structural inequalities, and the playground of the fearless turned out to have doubled as a workplace of the powerless: women and men without full employment, contracts, green cards, insurance, pensions, bonuses, or career ladders. People without promise, who worked hard but not smart. Thus, when Congress passed an unprecedented law creating the “9/11 Victims Compensation Fund,” it stipulated that net worth, career trajectory, and expected lifetime earnings be computed into a dollar award befitting each decedent. Not only would a broker’s heirs get more money than a janitor’s family, but calculations across all occupations would assess, as the New York Times wrote, “whether the victims were rising stars or complacent plodders.” So much for equality before the law, but how sad the realization that Americans are neither born equal nor die equal. When I saw America begin the grisly work of sorting its war dead into piles of winners and losers, I knew it was not true that our lives would “never be the same” after 9/11. That day changed us far less than we feared or hoped it would. The twin towers of success and failure still loom over the playground of the fearless, where all must play to win and the winner takes all. I decided not to finish that Bob Dylan piece; “the loser now shall be later to win” now sounded like a lot of postmodern nonsense. But I completed my damned book. I wrote in the epilogue, “Failure is not the dark side of the American Dream; it is the foundation of it.” Until the aftermath of September 11, 2001, I had never fully understood that. Large disasters are different from personal tragedies. Insurance companies often either cannot cope with the payments they owe or try to get out of the payments they owe. This was true in the case of 9/11 and Katrina (and most large natural disasters). People's personal support networks are also damaged or destroyed. The family and friends of the victims are often victims themselves. Without outside assistance many of these people would be in danger of losing everything. Charity helps, but is not an effective substitute for an organized governmental response. Again Katrins is illustrative. In the case of someone facing financial ruin due to a disaster federal relief provides the necessary cushion for the people to rebuild their lives. In that money provides this cushion, the desire for its absence is a desire for those people to be left to their own devices, without the support structures that were simultaneously destroyed. Your desired system would leave thousands of people destitute and homeless due to circumstances beyond their control. 2. I said shortly after its inception, but that is a minor point. People have taken advantage of government contracts since they have been offered (before social welfare programs), but let us take your thesis that their was no meaningful claiming of government funds before 1932. Still for nearly a third of the history of this country we have been in the midst of this crisis. That third of our history has coincidentally been the third in which we have been the most productive and risen to international preemminence. The sky is always falling. People are always less hard working and more profligate than the previous generation and children are always more disrespectful and lazy than the previous generation. 1. You once again equate my regard for the victims of tragedy with dollars. Let us return to the starting point of this exchange, namely the survivors of 9/11 victims. How exactly do you justify paying them for their loss with public money? In what way do they deserve such support? Is their loss greater, or even different than, that of millions of other Americans? Consider the following true story. A friend of mine recently completed his surgical residency and had just begun what would have been a lucrative career. Unfortunately, he contracted viral meningitis while performing charity medical work in Central America, and is now essentially brain dead. He leaves behind a wife, a newborn child, and a mountain of college debt. Please explain to me why 9/11 survivors should be compensated for their loss with public money, but my friend's family should not. 2. You suggest that our democracy has been tested by the use of public funds for private benefit since its inception. You are mistaken. It is true enough that there has always been corruption, nepotism, etc, but this has been the work of individuals. Prior to 1932, it was not accepted public policy for the government to support the people. Very few Americans had any relationship with the government at all prior to that time, and indeed there were many who argued against federal relief even as the depression began to fray American society. Herbert Hoover is nearly vilified for his belief that involving the federal government in the lives of individuals would permanently alter America -- and not for the better -- but he was right. Never mind that deficit spending has become a permanent feature of American governance; the even more profound consequence has been the change in American attitudes about hard work, thrift, and self-sufficiency. We have become a nation of gluttons, spending more than we have at all levels of society, refusing to take care of our own well being, and expecting to be bailed out by someone else. I recently read a survey in which 2/3 of Americans said that they would demand Social Security in their retirement even if they were wealthy and did not need it. That is a new phenomenon, one which did not, indeed could not, have existed until just the last few decades. It is one which we will cripple us if it does not change. You say democracy has done better than the thesis I mentioned. I say you misjudge the course of our history, both economically and culturally. Large scale disasters tend to stretch both the ability and willingness of insurers to pay. Large scale disasters can also remove peoples livelihood. If the government did not step in then many people would find themselves in a situation where they have become homeless and have no way to recover. Katrina is a good example of what happens when the government response is slow and ineffective and leaves the heavy lifting to insurance companies and charities. If the government response had been nonexistant rather than simply slow and ineffective how much better do you think the lives of those affected would be? To wish for this situation does in my opinion show disregard for their suffering. "It was once said of democracy that it could only survive until its citizens figured out that they could lay claim to public funds. We are in the midst of a direct test of that thesis." This country and all other democracies have been in the midst of a direct test of that thesis since shortly after their inception. So far the democracies are doing better than this particular thesis. So, then, one's regard for the victims of natural and other disasters is measured in dollars? Your comment is thick with the modern American sense of entitlement. Apparently you believe that the victims of any calamity, whether natural or man-made, should be paid by the government for their loss. Why only large scale disasters? Why not also murders, or cancer deaths, or other individual losses? Why not pay people after everything that goes wrong in life? Such thoughts fuel a nation rocketing towards bankruptcy. No, I do not believe the public should pay for private losses. Of course the public should rebuild public facilities after disasters, and certain kinds of public assistance for the poor are appropriate even outside of disasters. But for most people, insurance, the assistance of family and friends, and private charity should be the primary sources of relief. The fact that you (and no doubt a great many others) find such a thought to be heartless says less about my regard for the victims of tragedy than it does about Americans' infantile dependence on others, the government in particular, for their own financial well-being. It was once said of democracy that it could only survive until its citizens figured out that they could lay claim to public funds. We are in the midst of a direct test of that thesis. I believe that the families of military pilots that die in training do recieve compensation. Following your logic there should be no government restitution in the case of any disaster, manufactured (as 9/11) or natural (hurricanes, tsunami, floods etc.). Why are the homes and lives destroyed by a disaster more important than faulty wiring burning down my house? After all this is a tragedy to me. Why is my personal tragedy less important than tragedy on a massive scale? To say that your commentary does not show disregard for the loss experienced by the survivors is either disengenuous or short sighted. I agree with you, too. Why do these victims deserve that kind of money more than say the next-of-kin of some kid who dies in military pilot training in Nevada? Let me go a step further. There should have been no compensation for survivors at all, other than that which the families themselves had arranged for themselves with insurers. This is not said with disregard for the loss experienced by survivors. It is simply said with the firm conviction that they are not made special by their status as 9/11 survivors. There loss is no greater than that experienced by anyone else who loses a loved one. If I die tomorrow, there will be no national fund raising effort on behalf of my sons. I reject outright any claim that my sons are less important than the survivors of 9/11, or that there needs are any less profound. Acting otherwise is an outrage to everyone who has lost someone since 9/11, but who did not receive large sums of money from the nation in response. This is a beautiful outcry. Thank you. I fully agree with you there should have been no variation in the amounts paid to survivors of 9/11 victims, unless maybe based on family size. Our benefit schedules for Workman's Compensation are similarly foolish; they should be fixed at an amount determined to provide subsistence, not scaled to provide the unemployed with varying amounts to keep each in the style to which he is accustomed.